MYRIAD SPHERES: 101 Thoughts on Self-Publishing -- 013: Everybody Loves Swag! 101 Thoughts on Self-Publishing -- 013: Everybody Loves Swag! In this digital world in which we're living, much of the promotion a writer does requires nothing more than a computer and an internet connection. It is the best way to reach a worldwide audience, especially since with eBooks, anyone who is online can instantly buy and start reading your work. But as I mentioned in my post about putting your book in print, having something physical to send out, something people will keep in their homes to be reminded of you, something they can show others, should not be underestimated. Books, however, are expensive to just be giving them out left and right. Plus, it defeats the point of trying to get people to actually buy your books. Assuming that is what you want to happen, read on! So what is swag? It is literally anything with your name or book title on it that you can order at a low enough per item price to give out for free. Bookmarks, postcards, pens, key chains, thumb drives, coffee mugs, t-shirts, posters... do an online search for custom printing, and you'll find websites with hundreds of products that can be emblazoned with your face, book cover, whatever you want. And everybody loves swag. It's free! It's cool! It's made in China! So as writers, what sorts of products do we want to give out to our fans? For me, the #1 swag item for writers is bookmarks. It just makes sense, after all. Plus, they're cheap, they're light enough to mail in an envelope with standard postage, you can carry a stack around with you without too much trouble, you can sign them, you can leave them in library books, you can have a stack of them on the table when you do signings... bookmarks are an incredibly versatile promotional tool. You also have all sorts of design options. A bookmark could promote a single book, a series or you as a writer in general. My #2 swag item for writers is a postcard. I personally don't mail them as postcards, although you can if you design it that way. I like postcards that feature the covers of books. For a standard 4" by 6" postcard, the dimensions are going to be close enough to your book cover that you shouldn't have too much trouble converting your cover image. The back of the postcard can have the description of the book, quotes from readers or other authors, where to buy it, etc. They have the added bonus of being mailable and are a neat way to send your autograph out to fans. Here's a helpful tip: If you're in the US, I've discovered that you can send out one 4" x 6" postcard and three 2" x 8" bookmarks for the price of a single stamp. You might be able to cram an extra bookmark in there, but the weight of your envelope, stamps, and other factors could put it over the 1 ounce weight limit, so have it weighed at the post office if you're in doubt. I and several of my author friends have used GotPrint, and we have all been pleased with the price and quality. Another tip: you can sign items like bookmarks and postcards, but if they have the gloss coating with UV protection (which I do recommend, because it makes them look nice and flashy!) I'd suggest using a metallic Sharpie. The ink in the non-metallic Sharpies is not as thick and will looks streaky. It's also more likely to rub off over time. No matter what kind of swag you decide on, there are a few things you should have on it. First, your name. Second, your book or series name, if applicable. Finally, your web address. As I mention in my article on building a website, it helps to have an easy-to-read/easy-to-remember web address, like www.MichaelKRose.com, for example. Quotes from readers are always good if you have the room and it will work with the design. Any graphics on your swag can be adapted from your book cover. On my bookmark below, you can see I used a detail of the fighter jet from the cover of Sullivan's War. I had my bookmarks printed in batches of 1,000, as it was the cheapest option. However, unless you have a big event to attend, or several events, you'll be sitting on stock for a long time. In retrospect, I should have ordered fewer bookmarks of one kind and instead opted for more variety. For future bookmark orders, I'll do this. If you do run out, you can usually reorder from the same company without too much trouble. As a reader, what kind of swag do you like? Let me know in the comments below! If you're enjoying the series so far and would like a single page to bookmark, I'll be adding each of my 101 Thoughts on Self-Publishing here. Also be sure to subscribe by email (see the box in the sidebar) to be automatically notified about my new posts. 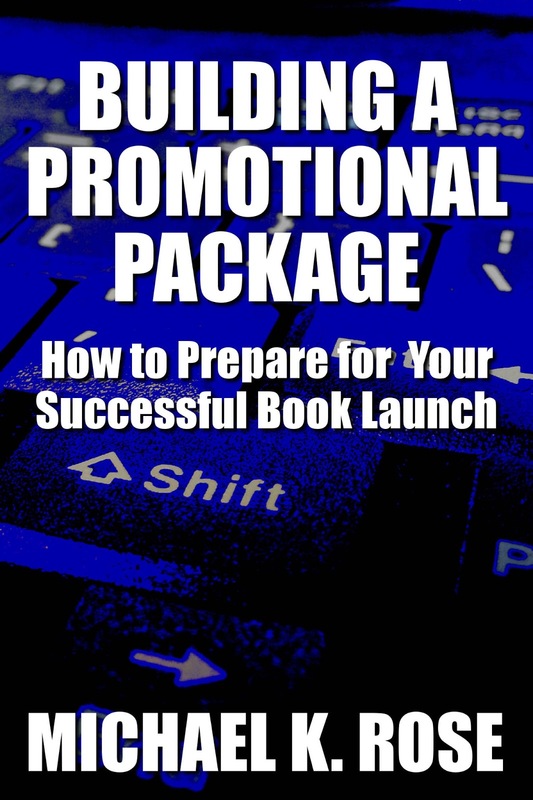 You might also be interested in my eBook, Building a Promotional Package: How to Prepare for Your Successful Book Launch. Details about it can be found here.